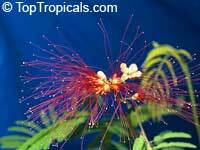 Tree Calliandra, Powderpuff. 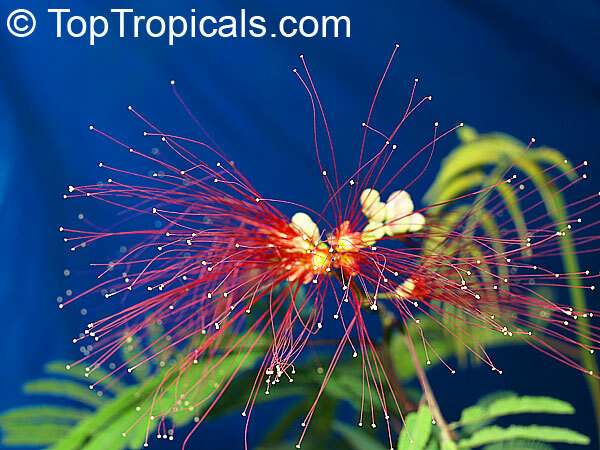 Calliandra houstoniana is a fast growing small tree or large shrub with fine feathery foliage and bright red fine structured powderpuff flowers. This species is very close to calliandra calothyrsis, but the flowers open fully, unlike c. calothyrsis, where the flower opens gradually from the bottom to the top.